Ready to evaluate NET.LOGIX? Simply fill out the form below to begin the download. The download is fully functional and includes your all editions, example projects, and help files. Ready to evaluate NET.LOGIX? Fill out the form below to get a free trial download. 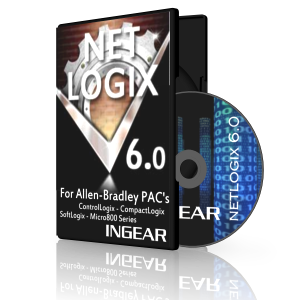 Download INGEAR Visual Studio .NET class library for Allen-Bradley programmable automation controllers. Within minutes you’ll be writing automation and control applications in Visual Basic .NET or Visual Studio C#.